Single tube with bulkhead design creating two separate chambers. 4 person capacity with an overload of 6. 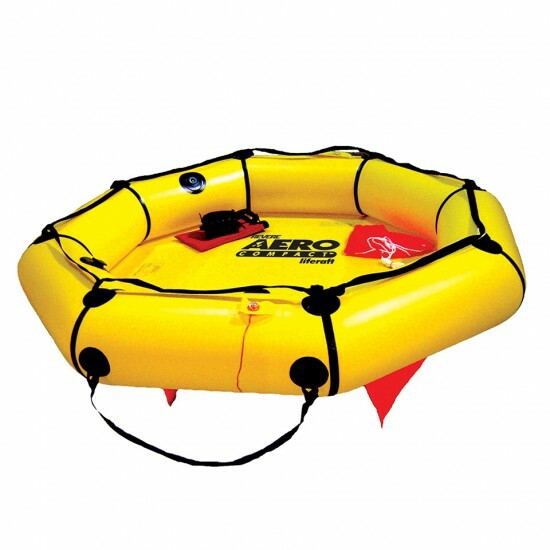 Comprised of buoyancy tube, deck, life lines, CO2 automatic inflation system, boarding handles, retaining line, hand pump, bailing bucket, sea anchor, and valise. 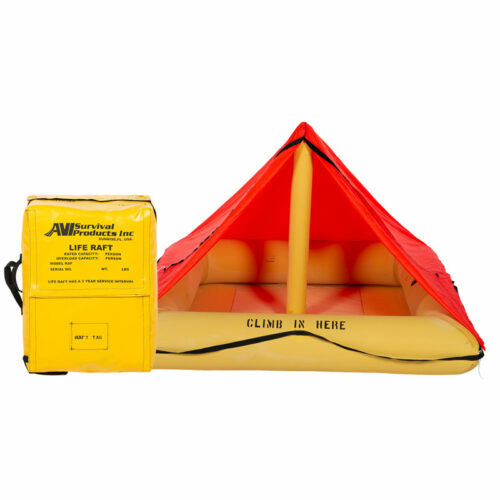 Includes a stabilizing water ballast system and a water activated locator light as required by the FAA. 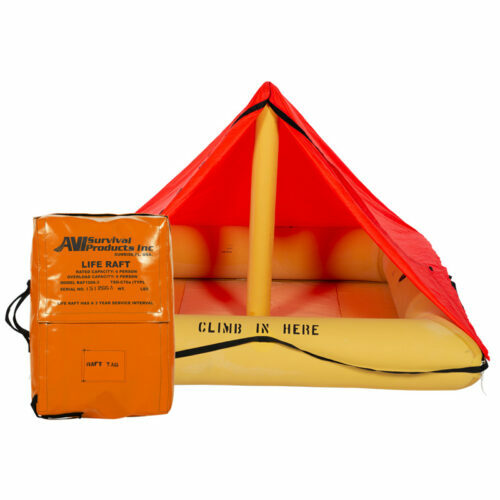 Lightest weight and most compact – easy to carry, stow away, and maneuver in any emergency situation. 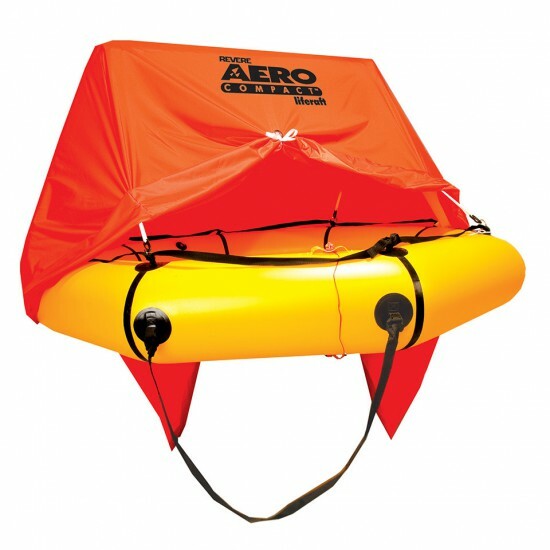 Easily deployed by women, children, exhausted pilots, or boaters. Soft-pack valise made of practically indestructible nylon with secure nylon velcro closures. Lifetime warranty on parts and labor, built to last a lifetime with proper care. RAF1104-105 4-Man TSO w/FAR 135 Kit 4″x13″x16″ 27 lbs. The optional survival equipment kit is stowed its own valise (separate from the raft valise). 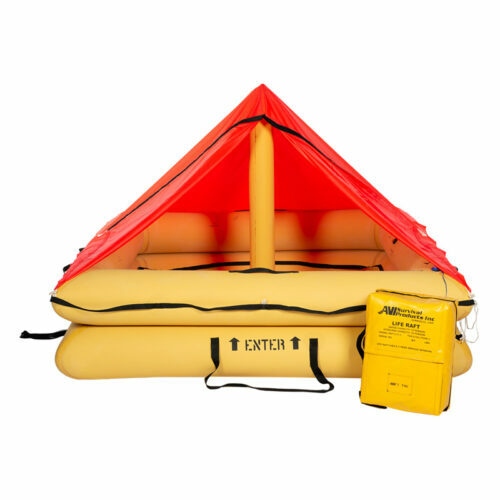 Separate units provide the ultimate in flexibility for raft and survival equipment combinations – ability to purchase basic rafts and survival equipment separately to meet unique requirements. Survival equipment kit and raft valise are attached to each other using velcro and a tie-line. 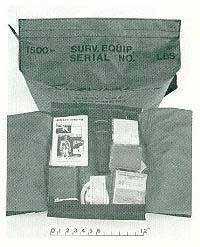 Survival kits are designed and prepared for Non-TSO and FAA/TSO-Approved aviation or marine use. FAR 91, FAR 121, and FAR 135 survival equipment kits are available. All kits are also sold separately.